Where does the sand on Mars come from? 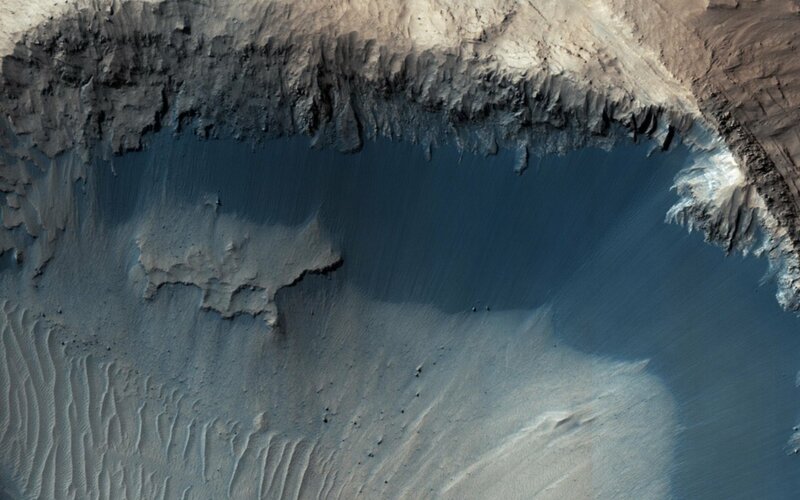 This image from NASA's Mars Reconnaisance Orbiter (MRO) shows one possible place where sand grains are being produced on Mars today. 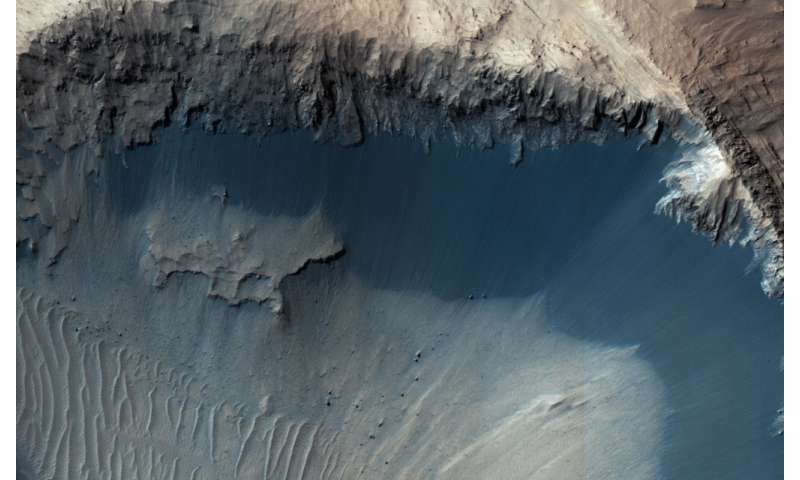 Discovered in images from the Context Camera, this region exhibits dark material that is being eroded from dark layers in the bedrock of a semicircular depression near the boundary of the Southern highlands and the Northern lowlands. Downslope lineations support the notion that these dark sediments are derived locally, and did not accumulate here by coincidence because of the winds.